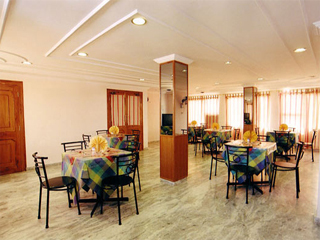 Padmini Palace is located in the heart of the city near the famous Gulab Bagh garden. Well-appointed and conveniently located in the heart of the city, the hotel is just 5 minutes' walk from the famous lake pichola and city palace just a stone throw away from Gulab Bagh garden. Wedding Services, Backup Generator, Banquet Facilities, Breakfast Services, Laundry Facilities, Internet/Wi-Fi, Room Service, Security Guard, Beauty Services, Conference Hall. Toothbrush/Razor on Request, Desk, Direct-Dial STD, Child Care, Complimentary Newspaper, Room Heater, Attached Bathroom, Smoking Rooms, Slippers, Wakeup Calls. User reviews for "Padmini Palace Hotel Udaipur"